Made my way to Muchachos situated in Tanjong Pagar for dinner. Muchachos in Spanish means “young men” and the restaurant has been started by two friends. Another Mexican joint is always welcome and Muchahos is generating a lot of buzz. It is an exclusive burrito place and has bar-style stools and counters as part of its seating space. It can seat roughly 25 people, so smaller groups are recommended. What immediately caught my attention was that it has the Subway-inspired “Build your own burrito” concept. The burritos are available in two sizes : Regular ($12) and Burritino ($9). Now, burritos at that price point are a steal! The Burritino is a good to have if you’re not hungry enough to finish a large burrito – and that is well-thought out from their end. I first ordered ‘Vegetarian Burritino’ for dinner and that by itself was quite filling. The grilled veggies like bell peppers, lettuce topped with rice and beans were delicious. I took the extra topping of guacamole which was worth it. Also, if you don’t prefer sweet flavors in your burrito, please don’t opt for the pineapple salsa while building your burrito. They have extra sauces (for free) to try as combination. If you like the spicy kinds, do try the Valentina and Chile Habanero. They also have some bottled juices. I ordered the thirst quencher called Blood Orange which was as refreshing as promised. Avoid the coconut water (available in a tetra pak) as it is quite bland. Muchachos is also perfect for takeaways. Their packing is clean and leak-proof and ideal for lunch if you are working around that area. They have friendly staff who try their best to seat you soon. No advance reservations accepted. It definitely was a burrito delight and on my repeat list. Posted on October 12, 2013 by deelightfullyveg	• This entry was posted in Restaurants and tagged burritos, Mexican, Tanjong Pagar. Bookmark the permalink. 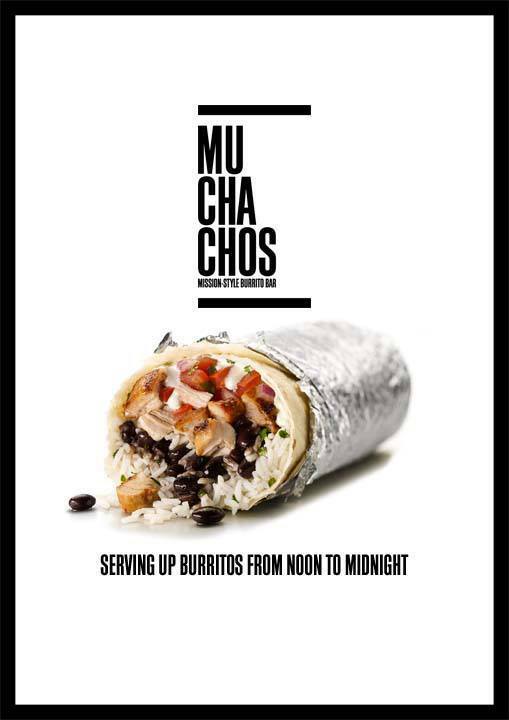 I love the name ‘Muchachos’ and your review is very detailed and helpful. If I lived near this restaurant, I would definitely try the large one and of course build my own burrito…thanks so much for sharing and enjoy the weekend!